Electric vehicles (EVs) are quickly becoming a more affordable and lower maintenance option than traditional gasoline- or diesel-fueled cars for West Virginians. West Virginia has seen a slow electric vehicle adoption rate, with just about 550 EVs bought between 2011 and 2016. The state does not offer EV owners any electric vehicle incentives or exemptions from HOV restrictions or annual inspections. 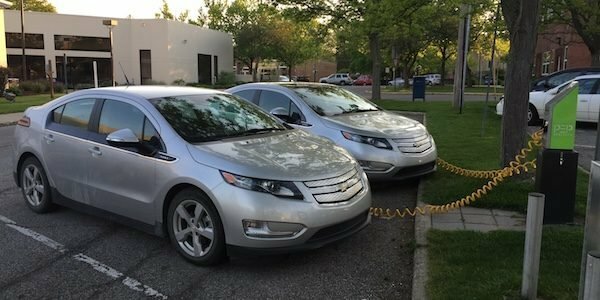 The state passed a law requiring electric vehicle owners to pay an annual $200 fee and plug-in hybrid vehicle owners to pay an annual $100 fee. West Virginia’s allocation of VW settlement funds is $12 million, but it is not yet clear how the state government will proceed with developing a plan to spend the money. 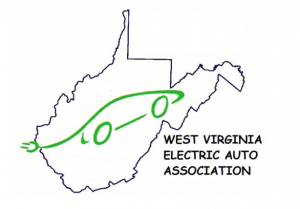 West Virginia Electric Auto Association is a statewide community of electric vehicle enthusiasts. Visit their website for EV resources and upcoming events in West Virginia. The West Virginia Department of Motor Vehicles has compiled a list of Green Driver State Incentives for EV owners, from local tax incentives to insurance discounts. In “Nation’s most extensive state park car-charging network part of WV State Parks’ green initiative,” the Charleston Gazette-Mail chronicles West Virginia’s plans to install EV charging stations at every state park — the first U.S. state to do so!